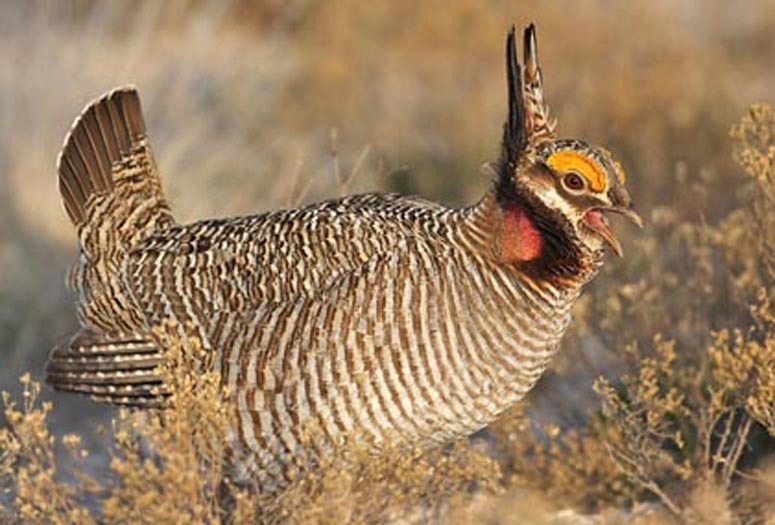 The Lesser Prairie-Chicken, a species of grouse found in Colorado, Kansas, New Mexico, Oklahoma and Texas should not be added to the “threatened” list under the Endangered Species Act, the American Farm Bureau Federation told the Fish and Wildlife Service. FWS can reasonably and responsibly withdraw its proposal to list the bird as threatened while continuing to meet its legal obligations to protect it under the ESA, according to AFBF. “We believe such an approach will be far more effective and meaningful than the regulatory measures proposed by FWS,” AFBF stated. Thousands of farmers and ranchers could be affected if the Lesser Prairie-Chicken is listed as threatened, although exactly how that plays out would vary from state to state. For example, conditions in Kansas have provided ample habitat and birds in the state are thriving compared to other parts of its historic range. A one-size-fits-all approach, which FWS is considering, could negatively affect farmers in Kansas and other states, where such strictures might be unnecessary. AFBF is urging a voluntary, range-wide conservation plan to protect the species, one that draws upon federal, state and private resources and can be adapted to conditions in various locations.A similar approach was successfully adopted in protecting the Dunes Sagebrush Lizard, noted AFBF. For any range-wide plan to be effective, it must be flexible and encourage participation by landowners, AFBF stated. In addition, the program adopted should: be responsive to the needs and concerns of private landowners while providing a wide array of incentives; incorporate working landscapes (not set-aside land); remove regulatory burdens; and assure that land covered by voluntary conservation agreements is not designated as critical habitat. AFBF also urged FWS to re-open the comment period on its plan to list the Lesser Prairie-Chicken as threatened, once a range-wide conservation plan developed by the working group is available.